A hometown wedding. This is a magical statement which raises the adrenaline levels in most Indians by a hundred folds or so. For me, it surely was exciting to prepare for and attend a relative’s wedding- shopping, dressing, socializing, making merry and the like. But the excitement to visit my hometown Surat wasn’t as much as it should have been. 3. Being a Mumbaikar, I carried the false perception that if you’re a Mumbai loyalist, you cannot like or appreciate any other city. So now, when I did backpack and set out for this “hometown” wedding, I didn’t quite anticipate just how much was in store. Starting right from the train that we boarded at Mumbai Central, there was a constant chatter among the travellers, a chatter much too familiar to any Gujarati in India, a chatter in Gujarati about Gujaratis going to Gujarat! There was an excitement in the air, even though most of our co-passengers were regular travelers on the route. After the departure, a stream of vendors poured in, and as one would expect, the foods sold like hot tea (considering we’re talking about Indians here!). With each approaching station, the Gujarati herd behaviour became stronger and bolder. The few non-participants, like my parents and me, gave our implicit nod to this mass behaviour by occasionally chuckling at jokes or smiling upon hearing a funny word. 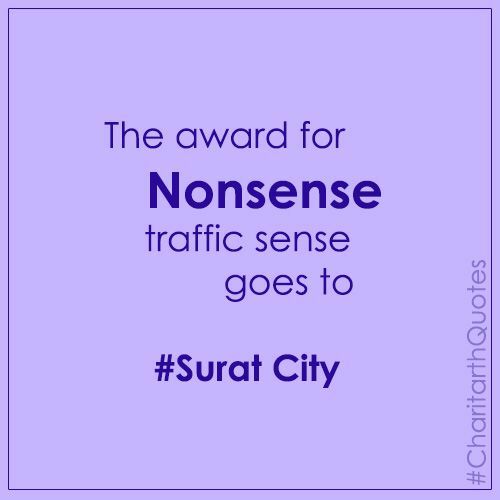 For those of you who don’t understand Gujarati, the above title means Surat is a land of gold (figuratively). Surat was a thriving, bustling and congested harbour port and city, before Mumbai beat it to become the biggest metropolis of western India. The older parts of Surat resemble parts of South Central Mumbai, where buildings are right next to each other sans compounds or front gardens. All building gates open up at the narrow streets, which are now bearing the weight of not just pedestrians but also two wheelers and four wheelers. Though, the newly developed areas, where I haven’t yet been, are said to be quite posh! Zampa (pronounced as Jhaapa) Bazaar area in old Surat is a popular neighbourhood among the Bohris. That’s where a Bohri finds everything a Bohri needs- accommodation, Mosque, Durgah, clothes, accessories and FOOD! Since we were attending a family wedding, arrangements were made for our stay. But my family decided on staying a bit longer in the community accommodations called Musafirkhana. The beauty of this Musafirkhana lies in its colour. I was excited about the Musafirkhana since it was styled like a haveli (and which Gujarati doesn’t fancy a haveli?). The location of the accommodation is also pretty cool. It would take an average Mumbaikar 30 seconds to walk from home to the epicentre of zampa market, where one finds groceries, a chemist, fancy laces, ice apple juice (neera), marinated chicken by the day and tandoori farcha by the night, delectable faloodas, ice creams and confectioneries and other such trivial knick knacks. Come Wedding and it’s almost like the entire neighbourhood is packed into the function venue. Culturally, since we are the jalsa people, everyone is excited to be a part of the celebration. A stream of ornate men and women enter the hall. Family members extend their hand in serving food to the guests. The environment is pretty festive. The men and women are seated separately, so my narration of the wedding will predominantly be about the goings on in the women’s section of the venue. Guests clicked photos of the bride and her intricate clothes. People chatted with each other like they knew everyone (in most cases, they DID know everyone). The food was served and everyone whispered their critique of it in each other’s ears. People hung around for a bit and left, only to return for the next function in a couple hours. On the insistence of my dear mother, we stepped into the ‘other’ Surat, which is raved and praised by the locals. Tapi Nadi (river) area is where once, many years ago, we holidayed and enjoyed the view of the gushing waters. Now, many years later, when we revisited the site, the river water had receded exceptionally. However, the sunset by the nadi was still breathtaking. We walked across the waterfront bridge, which is some sort of a heritage structure. Close by, there are beautifully architectured bungalows, old Churches and other interesting finds. Unfortunately, we were short on time and had to rush back to the bazaar. It was interesting to note that rickshaws stopped plying in certain areas, every evening between 5-7 pm in order to give an impetus to the newly launched state bus services. We hopped on to one of those and, I must admit, it was a cozy ride. Announcements for the next stop were made in English, Hindi and Gujarati (reminding me of the Mumbai local), doors were wide and seats were new and untorn. The state bus service thus got a stamp of approval from me! Gujjus are loved for their humour, and rightly so! Gujjus are not afraid of their quirkiness; rather they proudly wear it on their sleeves and flaunt it. The gujju philosophy is simple: life is short, so live, laugh & eat to your heart’s content. Inspired from a very uninspiring movie- Mere Brother Ki Dulhan- the above dialogue pretty much sums up the sentiment of every Surti. Sosyo, which is now also available in other parts of India, was once a local specialty. To quote Wikipedia, “Mohsin Hajoori introduced Sosyo in 1927 in Surat, as an Indian option to the UK drink Vimto”. Cheers to Sosyo and Sip! Surat is also famous for its nashta (snacks), which include sev khamani, khaman, locho, khandvi, dhokla, patra, etc. We were fortunate to taste an assortment of all these for breakfast, organized by the wedding host family. Towards the end of our trip, honestly, right before we entered Surat station to depart, we tasted the American thick shakes of Bismillah hotel. Now, we had heard a great review of the food and the shakes from my cousin, who was also a wedding invitee. Following his recommendation, my parents and I decided to give Bismillah a shot.. umm..a shake. Bismillah, located right opposite the station, turned out to be a relatively large space, with a section for restaurant, another section for juices and the final section for miscellaneous stuff like thick shake, falooda, ice cream and coco. We ordered the shakes of our choice (you’re really not interested in the flavours we picked) and surely each one of those lived up to our expectation. The shakes were so thick that we thought it best to discard the fat straws, and instead chose (wisely) to drink straight from the glass. 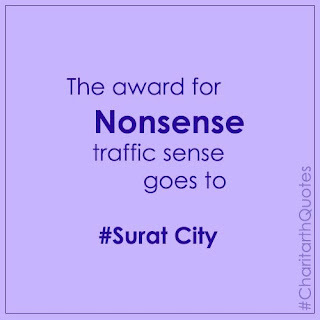 Surat welcomed me with open arms and I ran straight into them. After this eventful trip, I don’t feel the need to pick Mumbai over Surat or Surat over Mumbai. I pick both- for their craziness, social ‘life’, people, pace. They’re both different, but they’re both fun! Think of the word exercise for a moment. What other words would you associate with it? Sweat, gym, workout, burnout, and what not. Do you notice how, by and large, we associate a negative sentiment to it? Why don’t we most of us associate more positive words such as flexibility, strength, rejuvenation, me-time, etc. to exercising? Culturally, we have had very limited exposure and encouragement to exercise and even play sports. These are considered as “extra-curricular” and therefore, by consequence, less important and optional activities. Earlier, I too had a negative and dispassionate approach towards exercising. It was my health-conscious sister, who initiated me to the gym, then to yoga and other forms of exercises. Prior to this, my mom had initiated both her daughters to swimming, which is a great full-body workout, apart from being a fun-filled leisure activity. These were my early experiences with exercising, and frankly, they weren’t even a little bit antagonizing. We often stop ourselves before taking the first step on the treadmill, doing the first ab crunch, making the first lap in the pool, attending the first aerobic or zumba class, trying the first complicated yoga posture, and so on. If structured exercising isn’t the thing for you, there are many ways in which you can exercise ad hoc. Given my work schedule, which keeps me busy from Mon-Fri, I have resorted to such an ad hoc exercising format. These include brisk walking, skipping, doing squats and lunges, floor and stretching exercises. I am even contemplating purchasing a bicycle, since cycling is a wonderful way to exercise one’s lower body. Possessing a cycle, versus using the gym cycle, is an advantage since you can travel to different places and combine exercise with pleasure. The basic principle of exercising is really very simple- get up and move; sometimes it’s even sit down and move or better still, lie down and move! You can make exercising more fun by adding your favourite music tracks, the way it’s done in most gymnasiums. And yes, you CAN exercise at home if you’re committed to it and you truly enjoy the experience. I hope that more and more people take to exercising and feel the exhilaration of going that extra mile. E.g. the sense of achievement one feels when she/he progresses from lifting 1.5 Kg of dumbbells to 2.5 Kg. Girls and guys, give exercising a fair chance, irrespective of your age too. Choose a form of exercise which appeals to you the most. Start with Youtube exercise videos for beginners and keep building up from there. You don’t need to set aside hours for exercise; a few minutes of high-intensity workout can be equally satisfying and productive for you. But why still do I feel hollow inside? Am I really the square peg in a hole that's round? Why do I feel in emotional hollowness I'm drowned? Why doesn't the world let them be? Isn't that the best? To reveal your emptiness to every other, isn't it a real danger? And slowly but surely the hollowness of your soul becomes nothing more thaṅ an apparition! To Mars and back in 24 hours! It was a rather unusually breezy morning in the summer of 2024 when I got the most enchanting ‘out of world’ experience as the communications manager of ISRO (Indian Space Research Organisation). Yes, ISRO shifted to a manmade island in the Arabian Sea, off the shores of Mumbai, to facilitate a space launch; NASA, we are catching up! As I took the last sip of coffee (and flung the disposable plastic cup in an almost full trash can) at my work pad after a tiring night shift before logging out of my employee online muster, when a weirdest piece of communication flashed my Mac. Lo and behold! an invitation to visit Mars! Was it a joke? Was I dreaming? In the meantime, a zorb descended from the sky and landed near the coast. Another email quickly followed. The message read “Get into the zorb earthling ;)”. I was puzzled. “Should report this to my boss?” I thought out loud. But not wanting to look like a fool, I quickly rushed out of the office and got into the zorb. The zorb shot up and within seconds I was in the dark vastness of the space. I was very excited to see the earth from outer space. I spotted many satellites and wondered how many of them were of Indian make. But the excitement soon ceased. I was reminded of movies like 2001: A Space Odyssey and Gravity, as my fears got the better of me. A few hours later, I descended on Mars and was greeted by a warm… Wait! ... Earthling. The only oddity however was her attire, made of metal and wires. She introduced herself as Nivedita and explained she was one of the thousand people who booked a one way ticket to the red planet. While I was recuperating from my astonishment, my iphone buzzed with an email notification. I exclaimed, “You have wifi on Mars?” Nivedita’s eyes dilated as she explained how wifi on Mars worked. 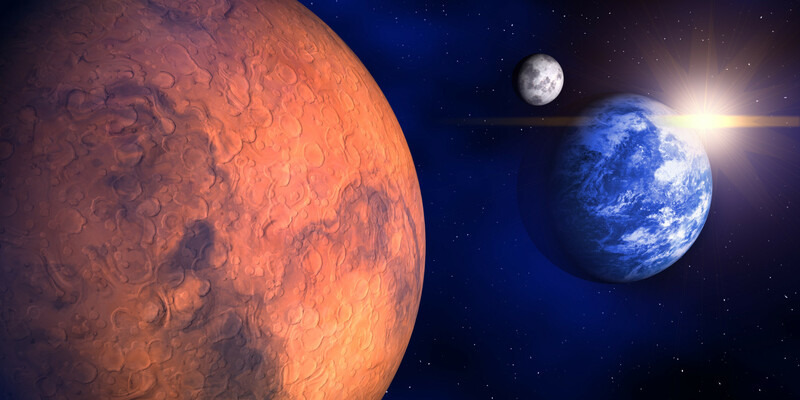 Unlike Earthlings who exploited Space for internet connectivity, Marsians innovated wifi through the ground. I retorted saying, “There is no way you could reach me on Earth through ground wifi.” She admitted using Earth satellites to reach me, “but just this one time!” she begged. She quickly asked me if I had an iphone. With hubris, I nodded; but Nivedita seemed unimpressed. She pulled out a rectangular sheer glass with virtual buttons on them, calling it the Uphone. “The Uphone?”, I quized! Nivedita smiled and said that the early earthling-turned-marsians were in the mood for fun. Being aware of the rave that the iphone had created, they decided to name their Mars mobiles ‘Uphone’. It had sophisticated technology and better disposability than any electronic item on earth. I was oddly impressed. “Does this location where we’re standing have a name?” I quizzed. Nivedita muttered something like X10PYE360. I was disturbed and excited in equal parts. I wanted to know more about this mysterious planet. We zoomed past isolated land and approached a residential colony. 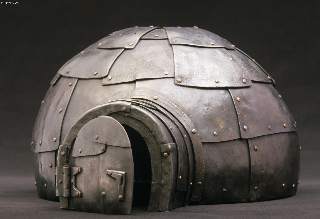 All the houses there were semi-circular metallic structures resembling the igloos. I quizzed as to why the clothes and houses on Mars were made of metal? Nivedita explained that many spaceships launched from Earth get lost in space. Some others become defunct and remain unclaimed. At this rate, the Earthlings would single-handedly bring doom to the Universe! That’s when the Marsians step in to reuse and recycle this waste by turning bits of metal into clothes and homes. I started feeling horrible for our innovations threaten the Universe. Nivedita slowly proposed, “why don’t you stay with us on Mars?” I contemplated for few moments; then I exclaimed, “I love everything you do here, but I’m not the kind of Earthling who’d settle in Mars.” Nivedita smiled and said she understood my sentiment. Even though I had realized that the Earth is a shameless and ruthless place, I still loved it, for whatever little beauty left in it. Now, I’ve woken up at the coast of Mumbai. I’m alighting from the zorb, which will take off in seconds. I find my way to the road, exhausted as I am after being away from Earth for 24 hours. Sitting in the cab, which is driving me home, I notice the pollution around me, the exhaust which the cab is emitting, and how peculiar that smell is. While I am being reminded of the good work Nivedita and her people are doing in Mars, I decide to lay back, shut my eyes and bask in the dirtiness of planet Earth. Fear, in psychology, is nothing more than learned behaviour. It is a result of Classical Conditioning. Simply put, the mind develops a fear of certain things when it is cautioned against an object or event or is a result of a previous unpleasant personal experience. A little girl named Suzy has recently started attending school. She is escorted daily to her designated Bus Stop by her father John. Suzy knows a mom n pop store nearby and insists that John buys her a Lolly. John complies once or twice but soon realizes that Suzy is making a habit of the Lollies. He observes a watchdog at the entrance of the store. To discourage Suzy's incessant requests for the Lollies, John relates a fictitious story to her about the watchdog who likes Lollies so much that he bites every little child who walks out of the store with one. Suzy makes feeble attempts to convince John to take her to the store. But each time she insists, the story of the watchdog is repeated. And voila! Suzy soon stops pleading for the Lollies. In the coming years, she outgrows the phase of believing in stories but she may not unlearn the fear of dogs that John imbibed in her. All individuals have such minor and multiple fears, which is completely normal. In a macro sense of the term 'fear', families fear loss of love, societies fear adulteration of their values, economies fear bankruptcy whereas as people (in most cases) fear God. Striking the right balance and regulating fears is the most challenging part. Most people never try or have little success in channelizing their fears into something constructive. For these masses, who struggle daily with their hidden and manifested fears, learn first to Love It, then Live It and finally Leave It! I’m the symbol of true love… or am I? All posts are the intellectual property of Fazilat Abazer Biviji. Watermark theme. Powered by Blogger.